MANILA (Mindanao Examiner / Oct. 17, 2011) - Warning that threats to the privacy of personal data in government and corporate information systems are mounting, House Deputy Majority Leader Roman Romulo urged the Senate to act on his bill that would fight the menace. Romulo’s appeal for Senate action on the proposed Act Protecting the Privacy of Personal Data in Information Systems came after Secretary Mar Roxas said the Department of Transportation and Communications (DOTC) would take Stradcom Corp. to court for allegedly misusing the electronic files of the Land Transportation Office (LTO). Stradcom supposedly allowed other entities to obtain access to the LTO database, presumably for a fee, without the consent of the government and the individuals whose personal details may have been compromised. Stradcom is the LTO’s information-technology service provider. “The LTO database contains the highly sensitive personal facts of millions of Filipinos, to include all the information in every driver’s license and every certificate of motor vehicle registration,” Romulo, who represents the lone district of Pasig City in Congress, said in a statement to the Mindanao Examiner. “This incident involving Stradcom is precisely what our bill seeks to prevent. This case has underscored the need for a special law securing the privacy of personal data in our information systems,” Romulo said. House Bill 4115, the proposed Act Protecting the Privacy of Personal Data in Information Systems, is pending in the Senate. The House passed the bill on third and final reading last May. “We will recoup the losses from the unauthorized exploitation of the LTO database, which is owned by the government. We will file the appropriate cases for restitution,” Roxas told the Senate committee on finance during a budget hearing. Roxas said he has already directed DOTC lawyers to go over the Stradcom contract to find out exactly what the firm was authorized and not authorized to do, and whether any government concurrences were previously issued. “The database is owned by the government. There ought not to be any unauthorized use or profit-making activity arising from the data without the approval of the government,” Roxas said. 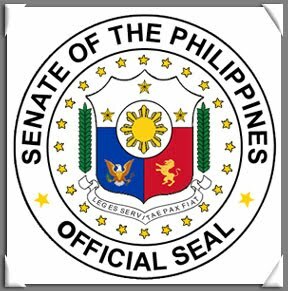 Romulo’s bill sets definite, predictable and enforceable privacy protection rules with respect to personal facts in information systems, and provides adequate safeguards against, and penalties for the misappropriation or mishandling of such records. An information system refers to an integrated set of components for collecting, storing, processing, and communicating information. Business firms, other entities, and individuals rely on information systems to manage their operations, compete in the marketplace, supply services, and enhance personal lives. For instance, firms rely on computerized information systems to process financial accounts and manage human resources; government agencies rely on similar systems to provide basic services to citizens; and individuals use the same systems to study, shop, bank, and invest.